Retro 51's newest limited edition popper design is a festive rollerball that is sure to make your spirits bright. The Retro 51 Jingle Bells musical score over an ivory lacquer and antique brass trims. Each pen is numbered on the top ring and packaged in a matching gift tube. Retro 51 only made 850- a special number to commemorate the year Jingle Bells was written- in 1850! Written by by James Pierpont for a Thanksgiving program. It was the first song to be broadcast from out in space on Dec 16, 1965 when Tom Stafford and Wally Schirra, two astronauts from the Gemini 6 space program sent the following message to mission control: "We have an object, looks like a satellite going from north to south, probably in polar orbit... I see a command module and eight smaller modules in front. The pilot of the command module is wearing a red suit..." The two astronauts then started to play a harmonica and a set of sleigh bells that they had managed to smuggle on board to the tune of Jingle bells! 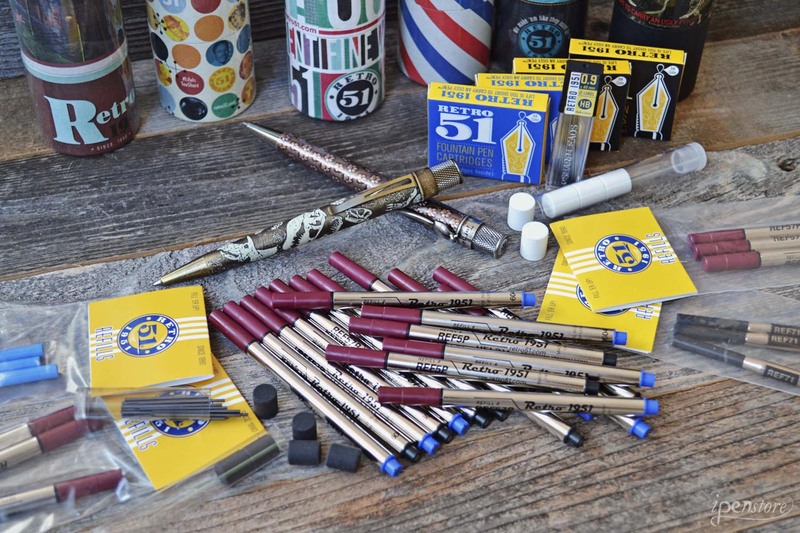 Retro 51 Pens are very popular. They are much loved pens and well known for their heavy brass bodies, the knurled twist mechanism and the bright colors and special editions that you can choose from. 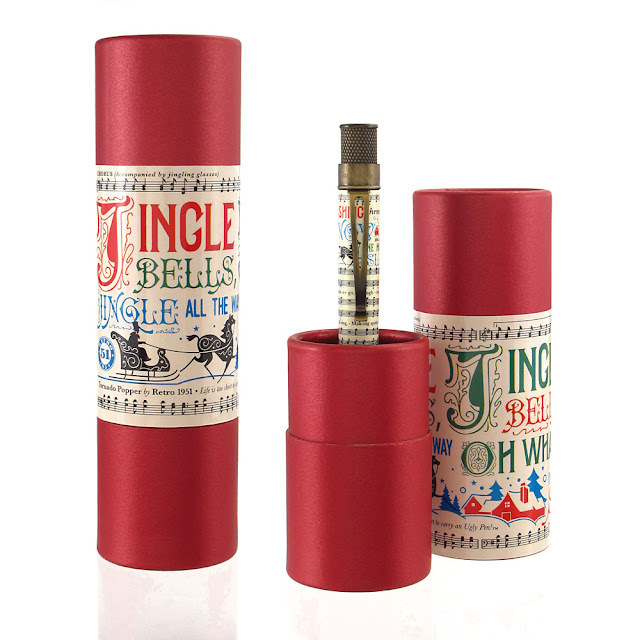 Each pen comes gift packaged in a cardboard tube with a foam insert and vintage graphics. Retro 51 refills are made for Retro 51 by Schmidt. The Tornado ships with a Retro 51 branded Schmidt 8127 roller ball refill, which has an 0.7 mm tip (medium). If you are looking for a finer point, the Schmidt P8126 has a 0.6 mm tip (fine) and is our recommended fine tip replacement.